We recommend ordering ONE size up,if you want a relaxed fit. 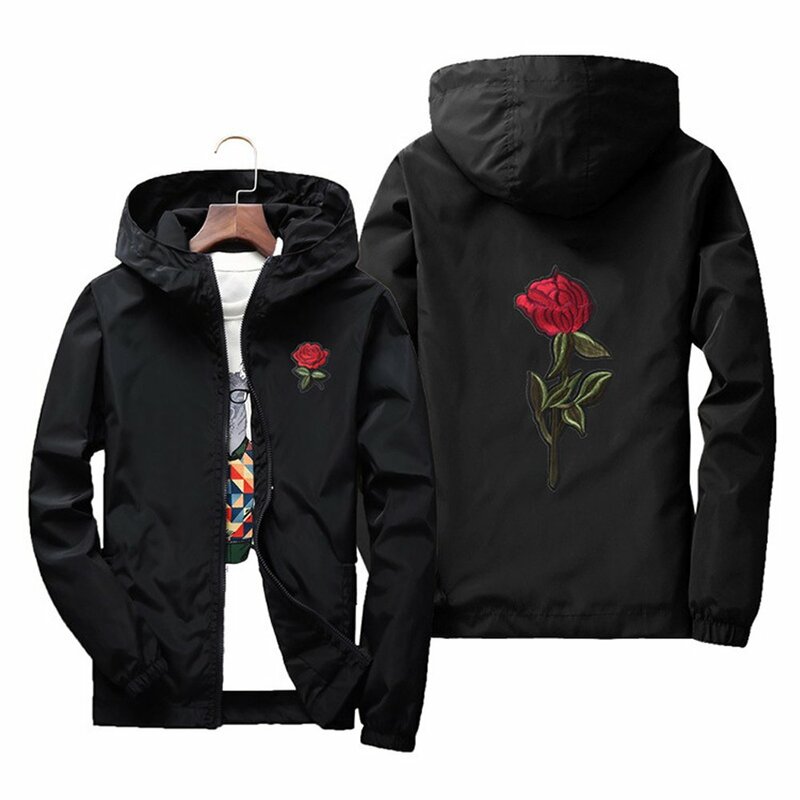 Feature: zip up jacket, rose on the chest and back make this lightweight windbreaker unique, two pockets for storing. No worry about the flowers come off as we improved the jacket and the roses are sewn on. 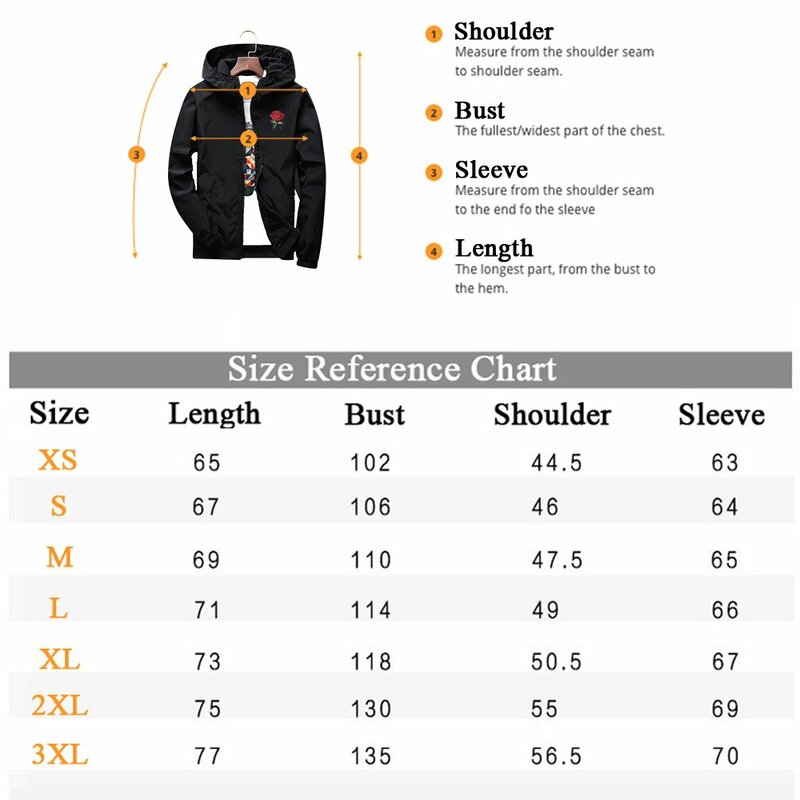 Design: full zip,elastic cuff,slim fit,jacket with hood. EASY CARRY: The lightweight coat makes it ideal for carrying, backpacking, biking, and travel.